My app of the day is a very helpful app for anyone who has an Android tablet or iPad and cloud storage service like Dropbox or Google Drive. With CloudOn you can create and edit Office documents right on your tablet and save it to your cloud account. If you wanted to do this without CloudOn you would have to download the file from your cloud account edit it and then upload it back to the cloud service. With CloudOn you can edit and create new Office documents on the tablet right from the CloudOn app. 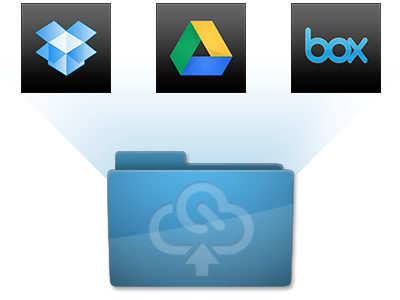 The app connects to three cloud services; Box, Dropbox, and Google Drive (previously Google Documents). Once you create an account and connect CloudOn to your services you see a great interface that shows the cloud services you have connected. When you select a service it brings up all of the files you have uploaded to that cloud service. 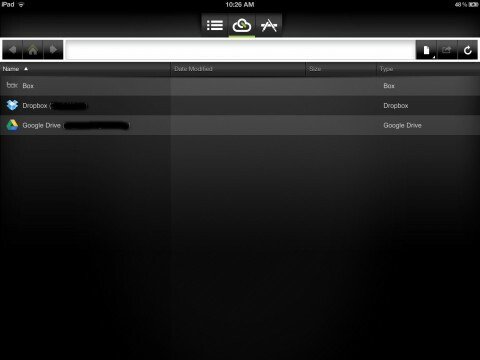 With the app you can view any file you have even if it is from a third party application. What makes CloudOn really stand out is the ability to edit or create Word, Excel, and PowerPoint files right from your tablet. When you edit the files with CloudOn you get the same interface that is on desktop Office. The app has all the document features that are available on Office. Editing Word documents is very easy with this application and when typing into the document there is no noticeable lag in the application which allows for faster data entry. Here are some screenshots of CloudOn on my iPad. Once you open CloudOn it will list the three services and you can click to view you files for each service. Once you open the service folder you can click on files or folders within the service to open them up. A nice way to navigate is a drop down box with all the files and folders you have uploaded to that service. 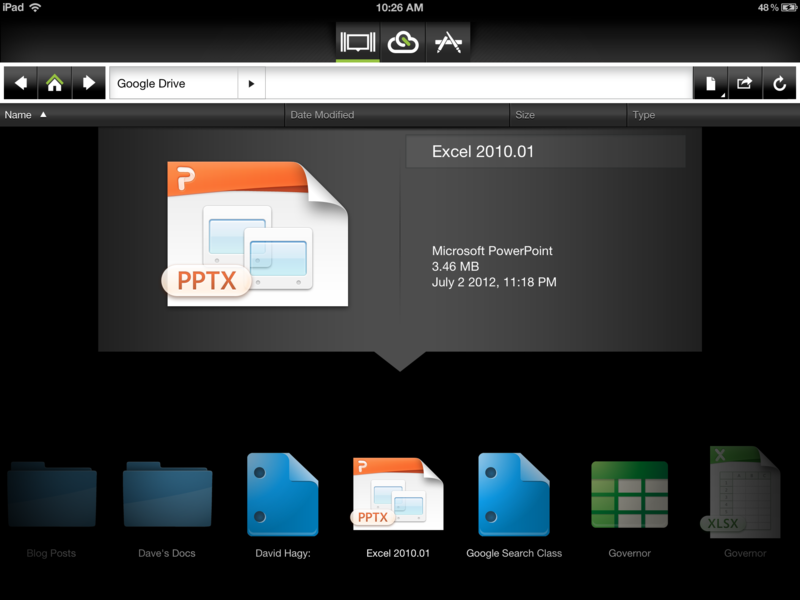 You can also choose how you want the files and folders to be displayed. You can choose a list, icons, or even a filmstrip. This doesn’t add very much to editing the files but it is nice to customize how the app looks depending on your preference. If you want to create a new Office document instead of editing one you can do that also. To create a new document you can click on the A made out of pens. This gives you a drop down menu in which you can choose from Word, Excel, or PowerPoint and once you select the document type you will get a box where you will fill in the name of the new document. When you open a file you’re presented with a ribbon interface featuring familiar tabs. For example, in the word processor there are tabs for paragraph settings, styles and formatting, insert, text and symbols, page layout, references, review, and view. When entering data into the file you get the standard keyboard on the tablet with an extra row on the top with helpful commands that are on a standard keyboard but not on a tablets keyboard. CloudOn is an app that will make a big difference for any tablet user that wants to work on documents with when they are not at the office and do so with ease. What makes CloudOn even better is that you get a much needed feature for your tablet for free. This app is a must have for anyone who wants to use their tablet for more than just games and movies. I have included links to the app on both Google Play and the App store. If you would like to know more about Cloud Storage and the different services that are available please view my earlier post in which I explain what Cloud Storage is and how I use the Cloud services.